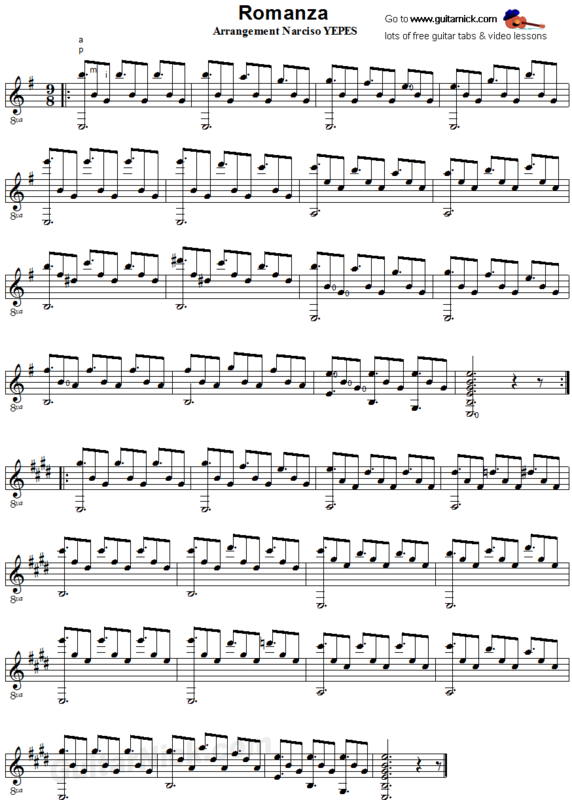 This very famous guitar piece is suspected of originally being a solo instrumental guitar work, from the 19th century. Narciso Yepes interpreted and is listed as the author of the song in René Clément's 1952 film Jeux interdits (Forbidden Games). 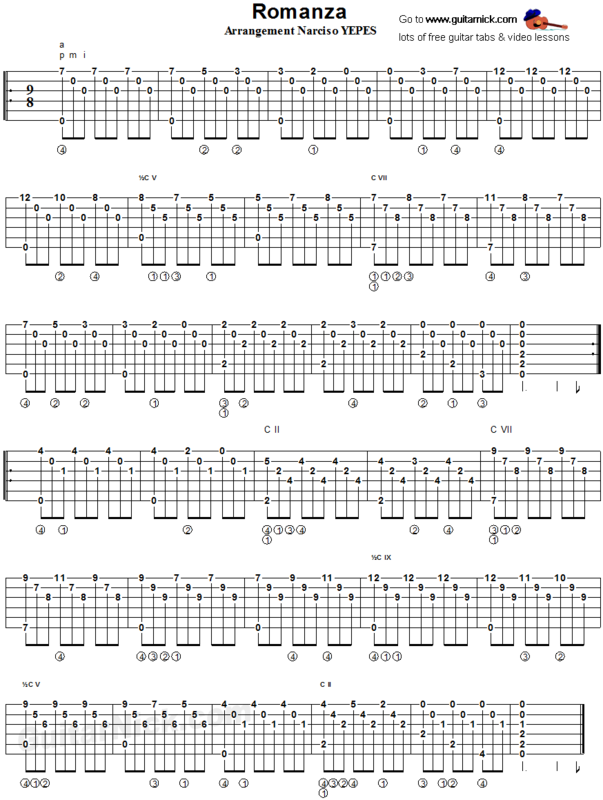 Learn how to play it with accurate tablature for guitar, sheet music and my video tutorial played with an acoustic guitar.